In industry, silicone used in numerous ways. The liquid first component silicone fluids can be used as a lubricant, or heat impregnation agent bath liquid. 2-component silicone you can also make seals and vibration-damping solutions invent or embedding. Silicones are also used to make cores. The applications are almost limited only by a lack of imagination. 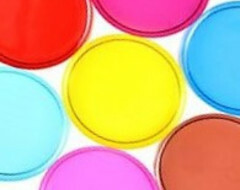 Check out our range of silicone oils and 2-component materials. Should you not find a product that you think you need, please contact us. We can probably still help.